Dry eye has a wide range of causes and symptoms, but the general cause of dry eye is an interruption in the quality of tears, or lubrication, necessary for proper protection and eye function. The eye doctors at Specs Appeal in Decatur can assess the underlying cause of your dry eye and determine if it is a chronic condition. Chronic Dry eye is called Dry Eye Disease, or also known as Dry Eye Syndrome. Dry eye affects approximately 20 million people in the United States and unfortunately, many suffer quietly every day, living in discomfort. 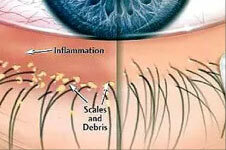 If your eyes are red, gritty, itchy and burning, you may be suffering from Dry Eye disease. Over time if left untreated, this disease can progress to serious damage to the front surface of the eye (cornea) causing scarring. This results in vision loss as well as poor eye health immunity. Tears provide lubrication and reduce the risk of eye infection. They wash away foreign matter in the eye as well as keep the surface of the eye smooth and clear. With each blink of the eyelids, tears are spread across the front surface of the eye. When our eyes are not properly lubricated, our vision and comfort can suffer greatly. Eyes unusually sensitive to cigarette smoke, smog, air conditioning, central heating? Dry Eye Syndrome is a condition in which the eye does not produce enough tears, or the tears of of poor quality – either too thin to lubricate and nourish the eye or evaporating too quickly from the eye. Dry Eye Symptoms can be related to many causes. More often times than not, dry eyes and eye strain go hand in hand. Don’t forget to pop on your favorite computer glasses with blue light filter over your contacts during work. Other factors include some medications you may take, contact lens overwear, and dry eyes can be exacerbated by your diet. Give us a call to schedule your appointment today at Specs Appeal 678-846-2000. There are many ways the Doctors at Specs Appeal can help with your Dry Eye Syndrome. Blepharitis (inflammation of the eyelids) is an extremely common problem which can cause irritation to both the eyelids and the eyes. Typically, under magnification, it appears like dandruff on the eyelid margin. Most people cannot effectively treat this on their own and require professional help to most effectively manage this problem. This is the single most effective treatment for dry eye sufferers. Using a combination of soothing warm moist heat and special tools, blocked meibomian glands can be opened and restored to function properly. While dry eye can be a chronic condition, the doctors at Specs Appeal can provide treatment. This will provide you relief, keep your eyes healthy and prevent your vision from being affected. Specs Appeal is excited to announce we now offer TrueTear Dry Eye Treatment. TrueTear provides patients with a new way to temporarily increase natural tear production that is user-controlled through neurostimulation. Neurostilmulation has been used in the medical industry for over 30 years as a safe and effective means to treat a myriad of illnesses. By way of nasal neurostimulation, this device helps you produce your own natural tears. It helps the body work like it should, and is done by comfortable stimulation of the Trigeminal Nerve (CN V), which activates your eyes’ natural tearing system – producing true tears! Nothing we do medically can replace what our bodies make. Our tears have over 1500 different proteins, and is actually made of 3 different layers. True Tear doesn’t try to replace anything it just tells your body what it needs to do. This device is truly a paradigm shift in the treatment of dry eyes. 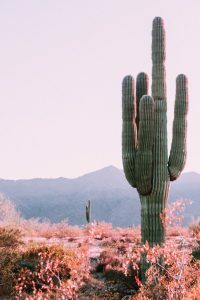 It’s an entirely new treatment class of its own, and at Specs Appeal, we are very excited to offer this treatment to our patients that are suffering from Chronic Dry Eye. For more information, please contact us at 678-846-2000. Schedule an appointment today for Dry Eye Evaluation.